Sadio Mane says he feels the pressure watching Manchester City play as the Premier League season nears its dramatic conclusion. 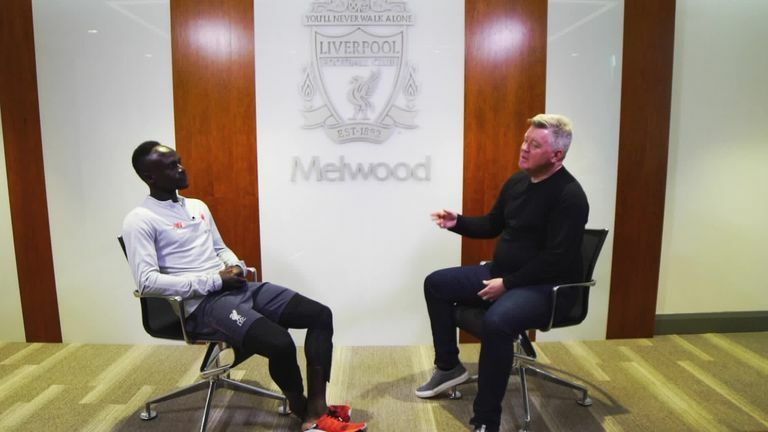 Liverpool forward Sadio Mane says he feels the pressure watching Manchester City play as the Premier League season nears its dramatic conclusion. City and Liverpool are locked in a Premier League title tussle, with City just one point ahead of their Merseyside rivals. Mane wants City to slip up every time they play, but admits he finds it difficult to watch them in action. "I think the truth is Manchester City is one place below," he exclusively told Sky Sports. "Of course we are more focused on ourselves, but sometimes we look when Manchester is playing, we have more pressure than if we play ourselves! "I want them to lose, and they are so good, and sometimes it's difficult for them to lose." Liverpool host Tottenham live on Sky Sports Premier League on Sunday and, for Mane, he feels the unpredictable nature of the Premier League means it is hard to classify what their hardest game of The Run In is. He said: "It could be [the toughest game], but people expect the only tough games to be against the top six, but sometimes that's not the case because it's unpredictable. "It could be Southampton. Sometimes you win easily with the top six, and sometimes you get a difficult game, but it's the same with the teams at the bottom of the table. "So it would be a bit silly to say Tottenham would be the biggest game." Mohamed Salah has gone seven games without scoring for Liverpool, which is his longest drought since joining the club in 2017. Mane says it is up to himself and his team-mates to get Salah back to scoring goals. He added: "People out and around the club are speaking about Mo because he used to score almost every single game. "It's almost normal because it's football, but we all know him as somebody who is very, very relaxed with the situation. Sometimes it can happen. "But I would especially love to see him smiling by scoring goals. We try to help him score more goals for him."